K. Thomas Robbins is a native of Corner Brook, Newfoundland, Canada. He received his undergraduate education at Memorial University of Newfoundland, and his graduate degree from Dalhousie University School of Medicine. He pursued residency training in otolaryngology at Dalhousie University and the University of Toronto. He subsequently served as a head and neck fellow at the Institute of Laryngology and Otology, University of London, under the mentorship of the late Sir Donald Harrison, and as a visiting fellow at MD Anderson Cancer Center. His first faculty appointment was at the University of Texas, Houston, and subsequently at MD Anderson Cancer Center. This was followed by a faculty position with the University of California, San Diego, and then in the Department of Otolaryngology-Head and Neck Surgery, University of Tennessee, Memphis, where he was Chair. K. Thomas Robbins has also served as Chair in the Department of Otolaryngology-Head and Neck Surgery, University of Florida, and the Division of Otolaryngology-Head and Neck Surgery, Southern Illinois University. In 2004, he was appointed the Director, SimmonsCooper Cancer Institute at Southern Illinois University. 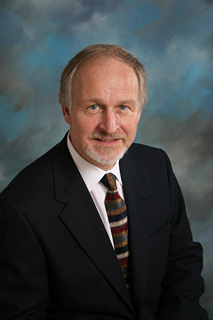 Dr. Robbins served as a co-editor of the 4-volume textbook book entitled Cummings Otolaryngology-Head & Neck Surgery, 4th and 5th editions (Elsevier Mosby, Philadelphia, 2005 and 2010). He has been the author or co-author of over 180 proffered publications. He has served on several editorial boards including the assistant editor of the Archives of Otolaryngology-Head and Neck Surgery. He is a past president of the American Head and Neck Society, and served on the Board of Governors of the American College of Surgeon. He has chaired the Committee for Head and Neck Surgery and Oncology of the American Academy of Otolaryngology-Head and Neck Surgery and the Otolaryngology Head and Neck Surgery Council of the American College of Surgeons. Dr. Robbins’ academic interests have focused on modifications for conservation neck dissection and neck dissection nomenclature. His work with the American Academy of Otolaryngology-Head and Neck Surgery and the American Head and Neck Society led to the development of a standardized classification system for neck dissection, first published in 1991. He led the task force that made additional updates in 2002 and 2008. Dr Robbins has pursued clinical and translational research investigating targeted (intra-arterial) cisplatin delivery and other innovative chemotherapy protocols for advanced head and neck cancer. He has received research funding from the National Cancer Institute as well as industry. He is married to Dr. Gayle Woodson, a fellow academic otolaryngologist. Their family includes Philip and daughter-in-law Jessie, Nicholas, Gregory, Sarah, and grandchildren Evan and Kate.